Ah Chanel. What I love about the Haute Couture shows are that we are seeing what is on trend for the current season, rather than having to wait 6 months for the clothes to filter through. But the Chanel shows are always such a grand feat that I can't help but talk about them. Picture the scene; you're in a giant greenhouse (the dome of my favourite Parisian building, the Grand Palais, creating the effect with its gorgeous glass roof) surrounded by the most beautiful paper flowers...yes paper. Then a gardener completely dressed in white brings everything to life with his watering can, and suddenly there is colour everywhere! And the colour doesn't stop on set, it filters into the clothes too! They are instantly recogniseable as Chanel, with the pops of colour in the boucle suits, the crop top style cut Mr Lagerfeld is currently favouring, but the devil is in the detail. Many of the skirts and dresses are adorned with the most beautiful hand-crafted flowers making them well worthy of their enormous pricetags! I really loved most of the looks this time around, but I've listed my favourites below. It's not wearability I've gone for this time, but more beauty and detail. And you'll be blown away by the amazing wedding dress that closed the show; one can only think of the amount of hours that went into handcrafting that beauty. I've picked skirts that are Carrie Bradshaw-esque, gorgeous coats, shirts with detailed collars and outrageous yet beautiful finishings. You can watch the show here. Images are not my own. All taken from Chanel.com. 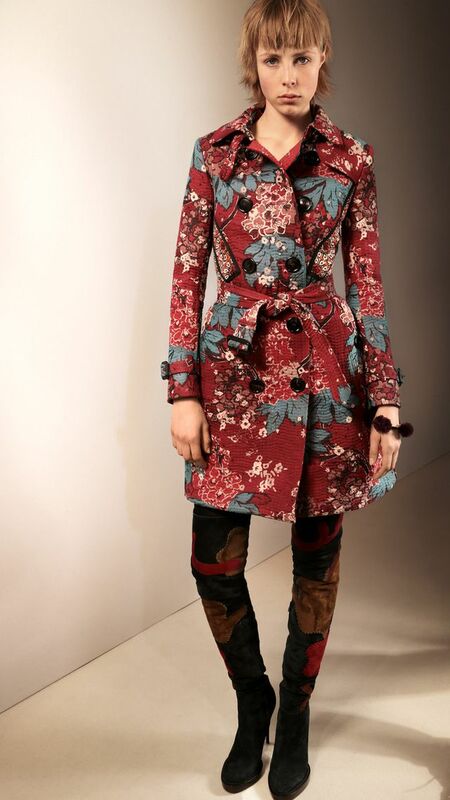 Burberry Prorsum is the one show that I look forward to the most. I love the models that walk for Burberry. I love the influential people they have on the FROW. I love the heavy influence of music (particularly this year as Clare Maguire was performing, someone I have been championing now for years and I have the timehop tweet to prove it!!). 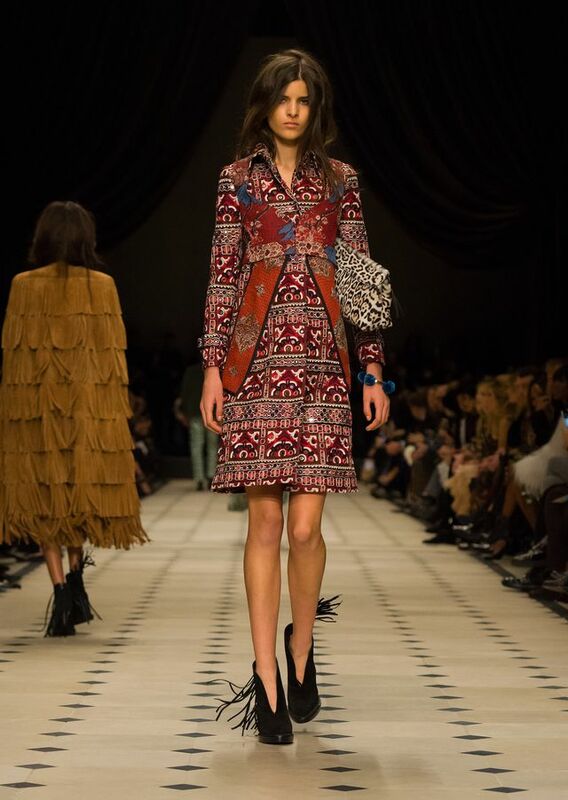 Burberry is not just a runway show, it's a performance and a marriage of the arts. My aim one day is to be dressed from head to toe in Burberry, but for now I think I'll treat myself to some of the makeup (it's all my bank balance will allow!). Christopher Bailey has the perfect eye for what Burberry is about and his collections just keep getting better and better. I haven't yet got over how good the Spring/Summer 15 show was with its birds and bees and pops of colour and he's managed to floor me again. Hooray for Burberry! The AW show was inspired this time by sixties glamour, with thigh high boots, gorgeous autumnal colours and tassels (also know as fringe!) everywhere. There weren't many looks that I didn't like from Burberry, so narrowing down the list was difficult but if I was you I'd just watch the show (here), you won't regret it! 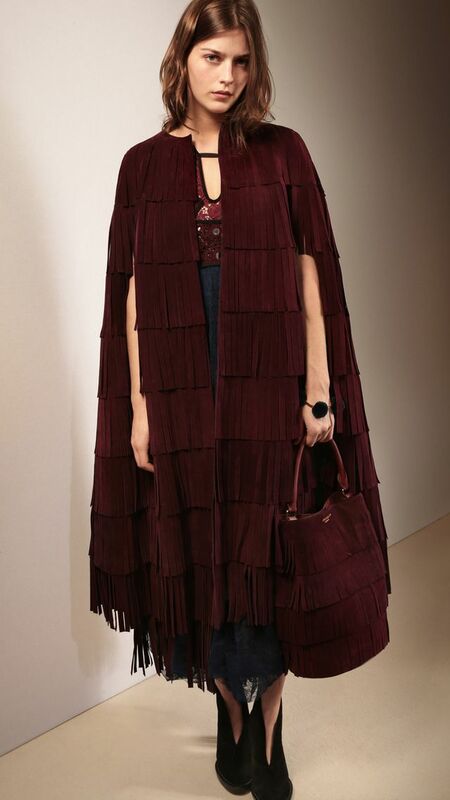 And if anyone wants to buy me Burberry, I love the burgundy fringe bag, and any other the trenches will be gratefully accepted! Some of my favourite looks are listed below. 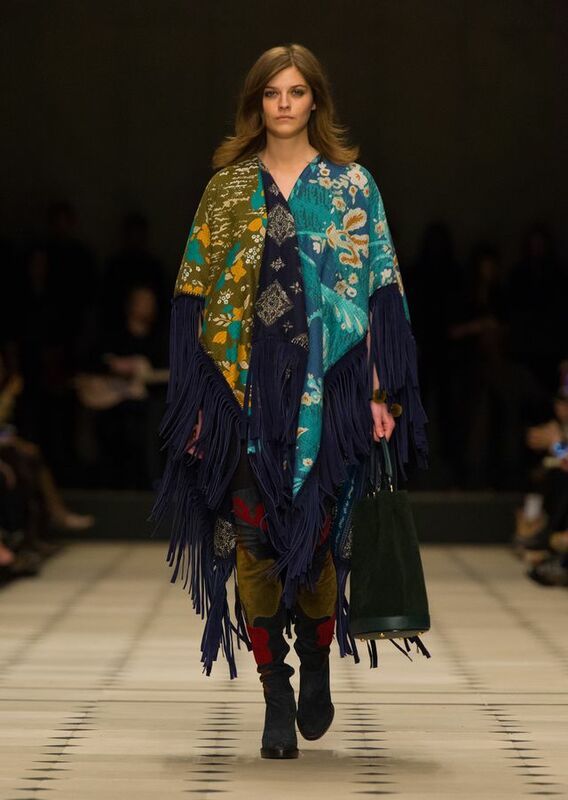 It seems lots of fringe and ponchos are the way to go for autumn! What were your highlights this fashion week? I'd love to hear about them in the comments below! Thanks lovely I love Burberry this time around!! Chanel has to be my favourite. Like EVERY season!! Great post honey. Yeah I know what you mean! I can't keep away from the Chanel shows! Thank you!